You may want to print it out in only black. Pop popcorn. 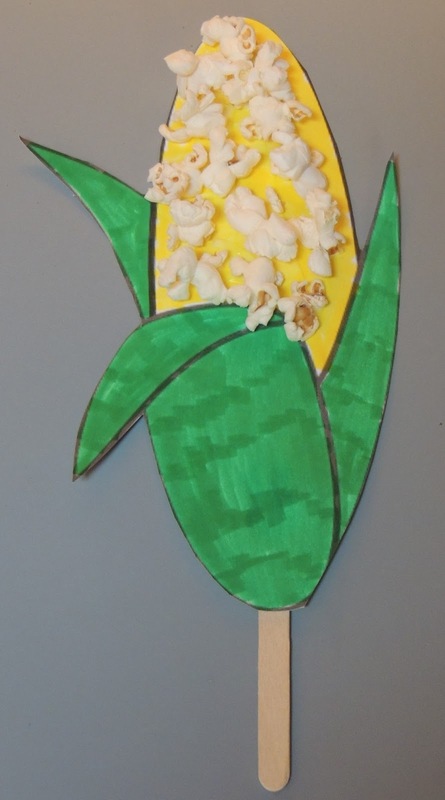 Have children color the corn and then cut it out. 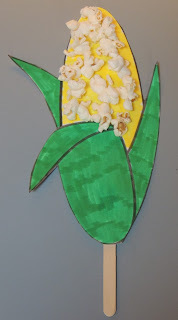 Allow them to glue the popcorn to their corn and then glue a Popsicle stick to the bottom for a handle.